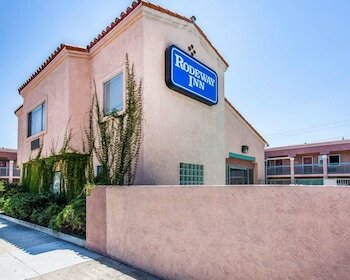 A stay at Rodeway Inn South Gate places you in the heart of South Gate, and within a 15-minute drive of Citadel Outlets. Featured amenities include a 24-hour front desk and coffee/tea in a common area. Free self parking is available onsite. With a stay at Angels Motel Pico Rivera, you'll be centrally located in Pico Rivera, within a 15-minute drive of Citadel Outlets and Rio Hondo College. Free self parking is available onsite. Located in Los Angeles (Downtown Los Angeles), Spacious Downtown LA Modern Apartments is within a 10-minute drive of Los Angeles Convention Center and Walt Disney Concert Hall.